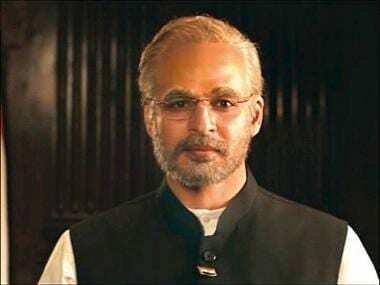 PM Narendra Modi, a biopic on the prime minister, has been granted a 'U" certificate by the Central Board of Film Certification (CBFC). Trade analyst Taran Adarsh confirmed the news in a tweet where he also mentioned that film's approved run time is 2 hours, 10 minutes, 53 seconds. Last week, the film's release was pushed indefinitely a day before the film was scheduled to be screened in theatres across the country. But producer Sandip Ssingh confirmed in a tweet on Tuesday that the PM Narendra Modi biopic will release on 11 April, the day of the first phase of polling in the Lok Sabha Election 2019. The Supreme Court on Tuesday also dismissed a petition filed by a Congress activist seeking stay on the release of the biopic. Prasoon Joshi, chairperson of Central Board of Film Certification (CBFC), had previously said the film was undergoing due process of examination and certification. The Congress made a formal complaint to the Election Commission over the release of the film. Opposition parties, including the Congress, said the film would give undue advantage to the BJP in electioneering and its release should be deferred till the elections are over.